Welcome to Green Co Carpet Cleaning, we proudly provide comprehensive cleaning services to residential home and commercial business owners in Greater Los Angeles, California and the surrounding areas. Our number one priority is to target and effectively clean the air vents in your home or business. At Green Co Carpet Cleaning, we ensure that our technicians are trained in the most up to date cleaning methods using state-of-the-art equipment and supplies. Our goal is to keep the airflow in your home as clean as it can possibly be. As a family owned and operated company, your health and well-being is important to us. We treat each and every customer the same way we would a family member by improving the standard of the air returns flowing in the air ducts in your home or business. Our knowledgeable air duct cleaning technicians are on stand-by 24 hours a day seven days a week to take care of all of your air duct and emergency water damage restoration needs. 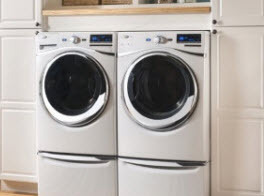 Along with our customized Air Duct Cleaning Services, we also provide Dryer Vent Cleaning, Carpet, Rug, Tile, Upholstery and Mattress Cleaning Services and Specialized Services including Water Damage Restoration. 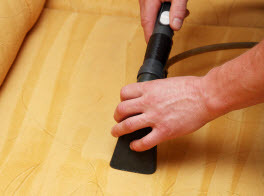 At Green Co Carpet Cleaning we employ highly skilled and knowledgeable technicians so that you can be assured that you will receive the highest quality services available in the air duct cleaning industry. We take great pride in keeping your home or business pollutant free. Our friendly uniformed technicians will arrive promptly in a fully stocked van to tackle your cleaning problems on-site for your entire residential and commercial cleaning needs. 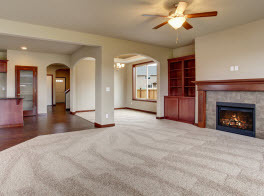 At Green Co Carpet Cleaning, we believe that one of the most vital cleaning processes that can be performed in your home is the process of removing dirt and debris from your air ducts. As a company we proudly supply professional air duct cleaning services that are designed to protect you year round from the contaminants that pollute your air ducts including dust, dirt, mold and other forms of unhealthy bacteria. There are multiple health concerns associated with breathing contaminated and dirty air including bronchitis, asthma and other respiratory issues. 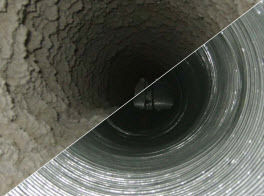 Contact us today to schedule an air duct cleaning appointment for your Greater Los Angeles home or business. We can improve the air quality in your home quickly with our comprehensive air duct cleaning service. We clean your vent system to thoroughly remove all traces of debris and bacteria from your home. Our air duct cleaning equipment is well maintained and our technicians utilize advanced duct cleaning techniques combined with quality products and cleaning solutions to keep the air ducts in your home or business free of pollutants. 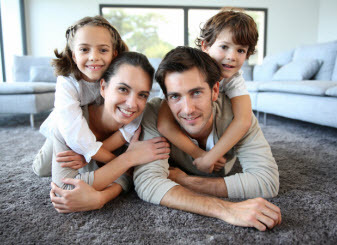 At Green Co Carpet Cleaning we understand that poor quality air is not only the result of dirty air ducts. There are many other factors that can contribute to poor air quality in your home including dirty carpets and upholstery. As a company we offer fast, quality solutions at affordable prices to all of your carpet and upholstery cleaning concerns. For more information regarding air duct cleaning services in Greater Los Angeles, California and the surrounding areas, contact the knowledgeable professionals at Green Co Carpet Cleaning today.